Without getting too technical, an application app for short is really just an effective way to interact with an online audience. The ongoing increase of tangible computing power that you can now effectively hold in "one hand" offers significant opportunities to provide cost effective solutions that can streamline and improve the operational processes within your organisation. We've recently completed a custom designed "sales quoting app" and "project maintenance app" that have delivered substantial productivity gains to our clients. We are also currently working on a number of other web page applications for clients that are designed to deliver material marketing or cost benefits. Often what is possible with an applications developer is limited only by your inspiration, imagination and or budget. 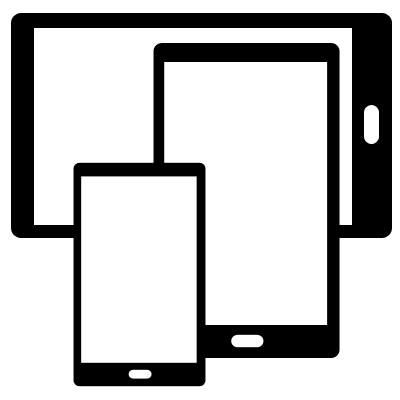 If you have an idea or current process that you think might go well on a tablet or mobile, please talk to us for a free consultation. While internal productivity gains can be quickly measured, obviously this technology can also be used to promote your organisation externally to an online audience far more effectively. In a very short time, mobile traffic has exceeded traffic from desktops, and organisations need to cater specifically to that market segment to protect their Google rankings and or to maintain online conversion rates. There is a sliding scale of complexity and cost in relation to apps. A critical starting point to ensure that you provide an enriched experience for your mobile and tablet users. These provide a highly functional and cost effective mobile/tablet application, where you have full upgrade control and you don't have to worry about multiple operating systems, e.g. iPhone and Android, or third party approvals prior to launch, and then having to share your revenue with these third parties. These can now be structured to have the look and feel and touch functionality of native apps at an a more attractive price point. These are iPhone and Android apps that are built natively to specification. These are best better used suited for complex user interactions or to reach a global audience. If the business is consumer focused and needs to distribute the app as widely as possible to a large wider audience, then a natively developed app can be well worth the investment. If you search for definitions of web apps (or web applications) you’ll get the most confusing results for just about any search you’d care to make. So it’s little wonder that many businesses aren’t entirely sure about what these touch enabled apps really are and what they these interactive tools can do for them. While we’ve briefly explained what hosted web apps are above, if you’d like a more detailed explanation of this cutting edge technology, then read on. While a mobile responsively designed website delivers content across a far wider range of platforms, a web applications are all about direct interaction with the user. For example, for your news articles you’d read the content directly from a website and in that case there’s not a great deal of need for individual personalized input from users. However, if you have a collaborative calendar for instance, thats where you would require an application authentication. The website shows largely the same information to all visitors, while the calendar returns semantically enriched individual personal data and enables individual data input. This interactive element technology provides an enriched, and responsive environment to that increases the engagement of your users in real time, without requiring any installation whatsoever. What can a Web App do for my Business? Many people think that only large companies need a customised mobile smartphone app for their business. However, the range of possible potential uses is so broad that any size business can enhance both their productivity and online marketing using by developing their own web apps. In an age where call centres and automated telephone response systems increasingly put barriers in the way of communication, an app that provides real time information and touch based interaction can change how your business is perceived in the marketplace. An intuitive and easily used interface will naturally capture your customers’ attention and give you the opportunity to provide an enhanced engagement for both your potential and existing customers. Web apps applications are powerful productivity tools for companies of any size. This could be anything from a simple staff database to complex reporting or management tools. Often, an application will be a turnkey solution that replaces a variety of inefficient legacy systems. Targeted content within a web app provides a an instantaneous means for your customers to interact with that content is a key benefit of mobile software. Notifications about products, sales, events etc can all be easily handled by an app and personalising the experience for your customer’s needs can radically improve engagement and conversions. The use of web apps by business for marketing your business is still not widespread and that provides an opportunity to stand out from your competitors. Combined with a highly personalised experience via the app, this can provide both a popular and winning edge in a competitive market. Your customers are awash in a sea of loyalty cards, brand advertising etc, but a web app can provide useful timely information and an interaction interactivity that removes the barriers to communication and instead that builds long-term customer loyalty. 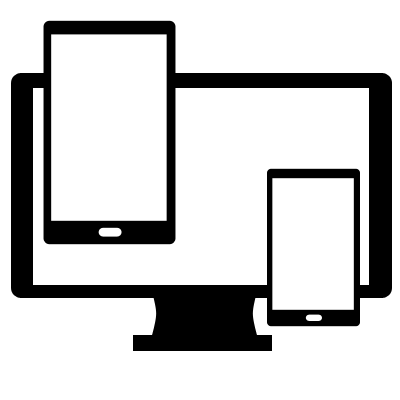 Will a web application work on any device? 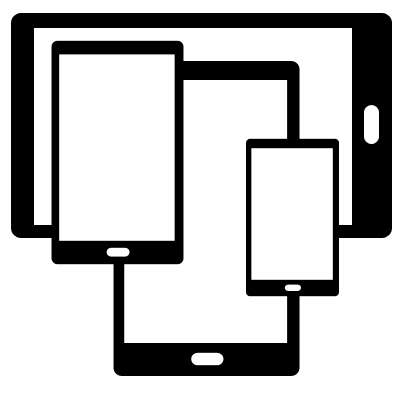 One of the most important benefits of developing a web app is that they work on almost every device. Since they’re accessed through a web browser, any device that is connected online to the internet and has a web browser will be able to access an app. Unlike native apps that require different versions for phones and tablets, and for different operating systems such as Apple, Android and Windows, a web app will work on any device. This makes it easier to distribute and more cost effective to maintain and update, and future proofs your investment to a significant degree. What sort of features can be provided? As technology evolves, the line between native apps (that where there are built for specific operating system such as Apple or Android) and web apps is becoming increasingly blurred. Even the latest internal phones systems such as GPS can now be accessed by web apps in real time. In most cases, the specific functionality of an application is custom built for each business, making the application’completely inherently relevant to both your business and your customers. Can a web app be customised? Customisation is a very common within the applications design process and whether the requirements of your company are simple or complex, meeting your customers’ needs more preCISEly will give you a significant competitive advantage. Will the technology be usable indefinitely? While native apps applications usually need to be updated to work with the latest version of the device OS (usually once a year for both Apple and Android), a web app is built to web standards that have a significantly longer production life and that helps to futureproof your investment. As a A web app is served directly from an online server/cloud, so any code update only needs to be done in the server environment and every user gets the update automatically when they login. What are the benefits of a web app? Initially web apps were simple tools that were mostly used for in-house processes by businesses. However, with the advances in technology in the last couple of years, web apps can now provide an enriched and interactive environment that can be used on any modern touch-enabled Smartphone. Not only can they be used effectively for productivity gains but are powerful marketing tools as well, providing new online business opportunities. A web app with a marketing focus might potentially provide some particular features or functionality, or it might simply be an opportunity to present the latest, tightly focused, real time content that’s much more easily accessed accessible than on your website, and hence more likely to be viewed. As we know, content marketing is an essential part of any online marketing strategy and a web app makes it easy to distribute new content without the need for the user to upgrade an app. All the content and functionality available on the app is served from a central hosting environment. This enables an easy content update process at a single point, that is then available instantly to any user of the that web app application anywhere in on the world wide web.